Another great night in Noir City. First up, Where the Sidewalk Ends. A noir classic that reunited the gang who made Laura, this flick follows hot-headed cop Mark Dixon who makes one impulsive bad decision. While trying to cover for his mistake, he keeps on digging himself in deeper. Of course there’s a dame in the mix, ethereal beauty Gene Tierney. There’s also a slick gangster with a Benzedrine inhaler habit, along with a great cast of crackerjack character actors. 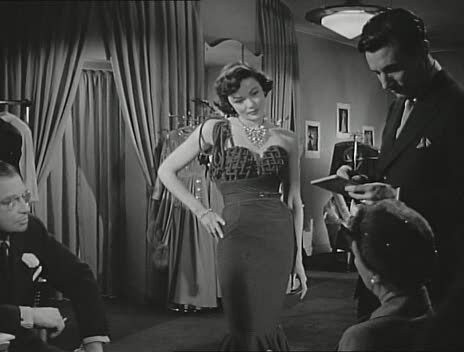 Also, if you’re a vintage fashion enthusiast like me, watch for a cameo by Gene Tierney’s ex husband Oleg Cassini. 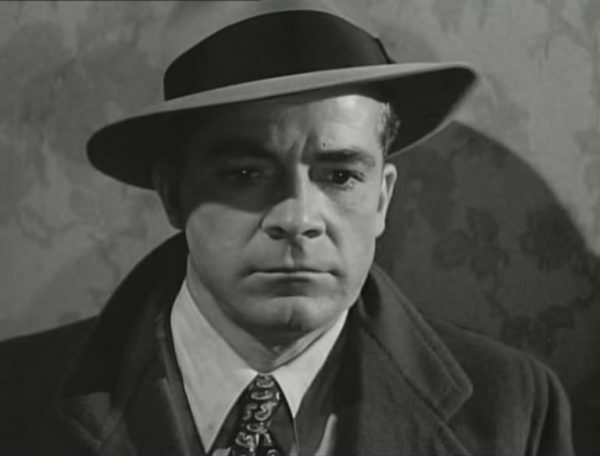 But really this flick is all about Dana Andrews as the morally conflicted cop. Host Eddie Muller shared a great story about how screenwriter Ben Hecht was asked to retool the protagonist’s motivation and the result is a so perfect you just can’t imagine it any other way. Andrews delivers one of his best performances, and makes the flawed character relatable and deeply human. It’s hard to imagine a scene where a guy writes a letter could be so compelling, but he makes it work with just his eyes and the expressions on his face. 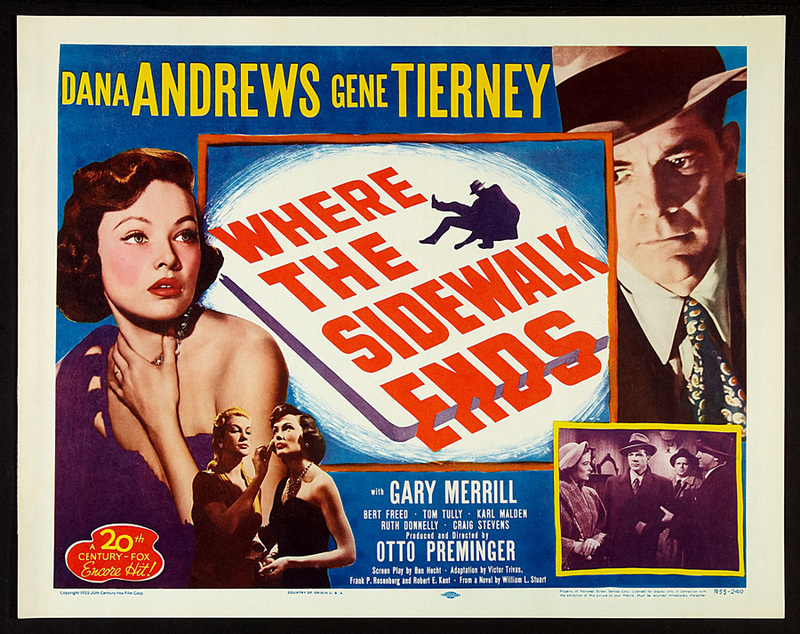 This flick delivers everything you could possibly want from film noir and then some. It’s one of the better known titles from this year’s line up and for good reason. 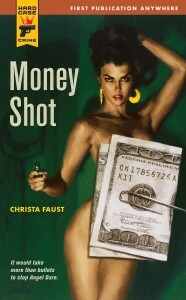 Mistress Christa says check it out. 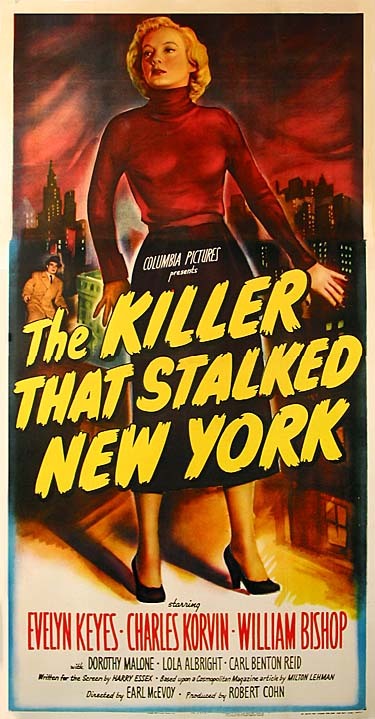 Next up, a little Docu-Noir action with The Killer That Stalked New York. 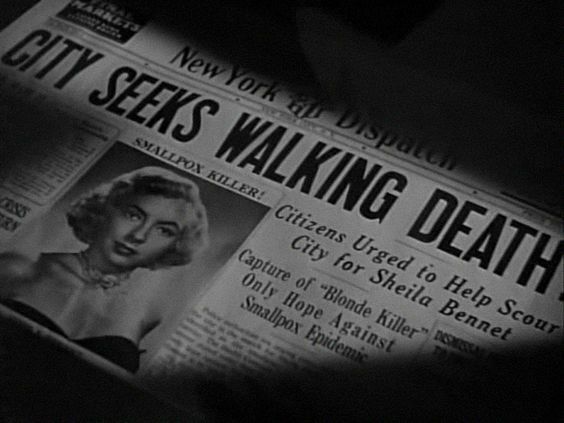 Ostensibly based on a true story about a female jewel smuggler who brought smallpox to New York City. 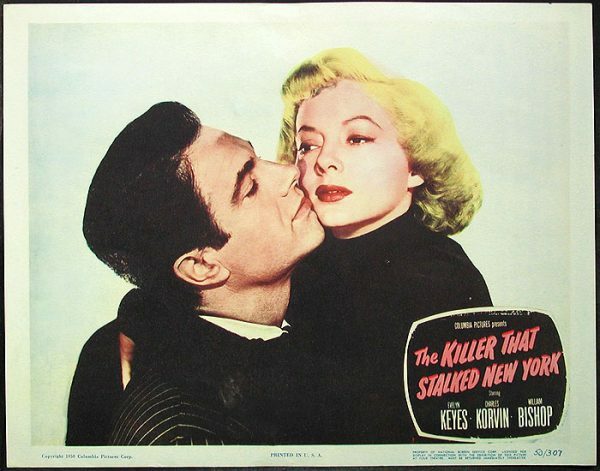 Dark City Dame Evelyn Keyes played the contagious main character and delightfully sleazy Hungarian hunk Charles Korvin plays her cheating husband. This one is maybe a little dry at times and has way too many scenes of worried doctors looking at maps and kids getting vaccinated, but I’ll watch Evelyn in anything, and there are tons of great NYC exteriors (Nedick’s!) There’s the torrid love triangle, the woman with an unstoppable vendetta and plenty of histrionic headlines. Lots of fun, and worth tracking down. Tonight, it’s our second to last double feature: The Man Who Cheated Himself and Iron Man.